question_answer1) In which larger shape is the shape hidden? question_answer2) In which larger shape or pattern is the shape hidden? question_answer3) In which larger shape is the small shape hidden? question_answer4) In which larger shape is the shape hidden? question_answer5) In which larger shape or pattern is the shape hidden? question_answer6) In which larger shape or pattern is the shape hidden? question_answer7) In which larger shape is the shape hidden? question_answer8) In which larger shape is the shape hidden? question_answer9) In which larger shape is the shape hidden? question_answer10) In which larger shape is the shape hidden? question_answer11) In which larger shape is the shape hidden? question_answer12) Directions: Observe the figure carefully and answer the questions based on it. Which shape is hidden in part 2 of the picture? question_answer13) Directions: Observe the figure carefully and answer the questions based on it. In which part of the picture is the shape hidden? question_answer14) Directions: Observe the figure carefully and answer the questions based on it. How many of the pictures below are hidden in part 4? question_answer15) Directions: Observe the figure carefully and answer the questions based on it. In which part of the picture is the shape hidden? question_answer16) Directions: Observe the figure carefully and answer the questions based on it. 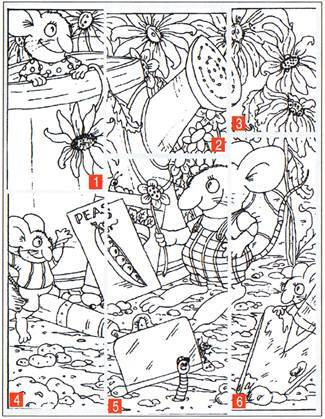 Which shapes are hidden in part 3 of the picture? question_answer17) Directions: Observe the figure carefully and answer the questions based on it. In which part of the picture is the shape hidden? question_answer18) Directions: Observe the figure carefully and answer the questions based on it. In which part of the figure is the shape hidden? question_answer19) Directions: Observe the figure carefully and answer the questions based on it. Which shape is hidden in part 6? question_answer20) Directions: Observe the figure carefully and answer the questions based on it. In which part of the figure is the shape hidden? question_answer21) Directions: Observe the figure carefully and answer the questions based on it. Which shape is hidden in part 4? question_answer22) Directions: Observe the figure carefully and answer the questions based on it. In how many parts, the symbol of is present? question_answer23) Directions: Observe the figure carefully and answer the questions based on it. Which shape is hidden in part 5?